My Special Announcement and Some Candy!!! I made three treat boxes (since I have 3 kiddos:) using these adorable new images from Amy Young! These are Sweet November Baby Trick or Treat and I used Pumpkin, Hero, and Princess. The boxes are the Bag it Up Template from Perfect Presentation. I used some SU Cast-A-Spell DP on each, some Swiss Dots Grosgrain Orange Ribbon, which you can find HERE at Really Reasonable Ribbon, and a sentiment from the SU set Teeny Tiny Wishes. Aren't these images just soooo super CUTE!!! There are 6 of these darling images in total, so you've got to check them out!!! You can find the whole C.C. Designs August release HERE! oh, I love these new images. I had to hop over here and say I love your projects after I saw them on ATS! supr job. Congrats Kerri! You're so FAB and so are your projects! Too cute!!! I saw your work on ATS and I just had to come on over and check things out:) Your work is fabulous. I added your candy to my Sidebar as well - THANKS!!! Congrats and these are just darling! cute cards you make thanks for the chanc to win those cute stamps. i follow you blog en put the link op my blog. Such cuties! Thanks for a chance to win them. I've put it on my sidebar and I already follow! Ohhhh I'd be jumping around and squealing, too! Congratulations on your GDT spot! Thanks for the chance to win an adorable stamp - so generous of you! I'd added you to my sidebar, am following and blessings! Love your sweet treats project...I know your kids will love them, too! Congrats on the guest DT position...you always have such wonderful creations and the honor is well deserved! Congrats - it's always fun to get on to a design team whose products you use and LOVE! Look at you with the head start on Halloween packages - adorable. Really great coloring as usual and love that you've got purple in there too. WOOOOHOOOO Kerri huge CONGRATS sweetie that is fabulous news!!!! Your projects are absolutely ADORABLE and LOVE the fun halloween colors..EEEK these images are SOOOOO FUN!!! Adding your card to my sidebar sweetie....crossing my fingers...Hugs! Congratulations! I subscribe to the All that Scraps Blog and that's how I found you. I'm so glad I did! Your work is fabulous! I am now following your blog through Google Friend Connect....Way to go! These are adorable Kerri. I love the dimension and vibrant colours. Kerri, I just love your gift boxes!!! I am a follower and I have a link in my sidebar . Thanks for the chance to win! Woohoo!! Congrats Kerri!! They are so lucky to have you girl!! Your gift boxes are just darling!! Love the coloring and colors! Wooohooo Kerri! Congrats! Love those Pixies. Hello kerri...your boxes are simply GORGEUSS!!! I dont have a blog so cant add you to a sidebar but did become a follower and passed your blogspot address onto several of my crafting buddies! Your work is so creative and cute as are the images. Would love to have them!! Congratulations on your guest spot!! 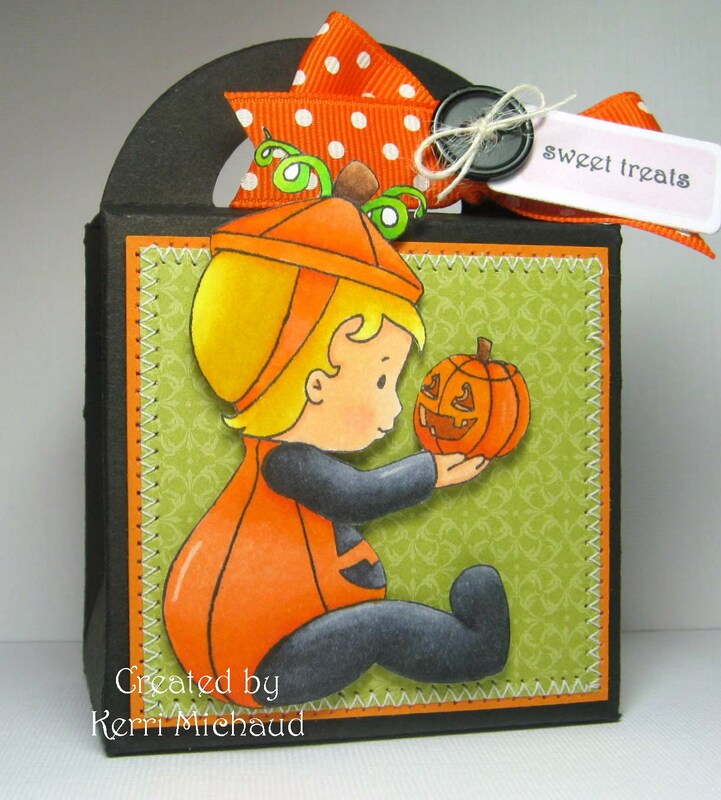 LOVE these little boxes - they're all so adorable and your coloring is just perfect! Hi and Thanks for the chance to win .. I am already a folloer and have addedm you candy to my sidebar .. awesome candy ..so cute !!!! They are gorgeous! Wonderful colours and cute images. and posted about your candy on my blog side bar! Accckkk!! I'm squealing with you!!! LOL What awesome news!! I'm not surprised she asked you!!! I'm so happy for you. I can't wait to see what adorable things your going to make. Oh I forgot to say that I have your candy in my side bar. Congrats Kerri! I love these new images. I just love the new images! I've added your candy to my side bar. Wow...nice job and lovely items! Congrats on your DT gig too. I'm off to add the photos to my sidebar. Thanx! Congratulations, honey. I love these new images, I am a follower. Congrats on the guest DT position. I'm a terrible friend! I missed some of your posts...I've had summer brain. Congrats on your Guest DT! I would have squealed too! Your projects are perfection! Cute boxes! Congrats on your guest DT. I've posted about your candy on my sidebar. These images are super adorable! Congratulations on being a Guest Designer! 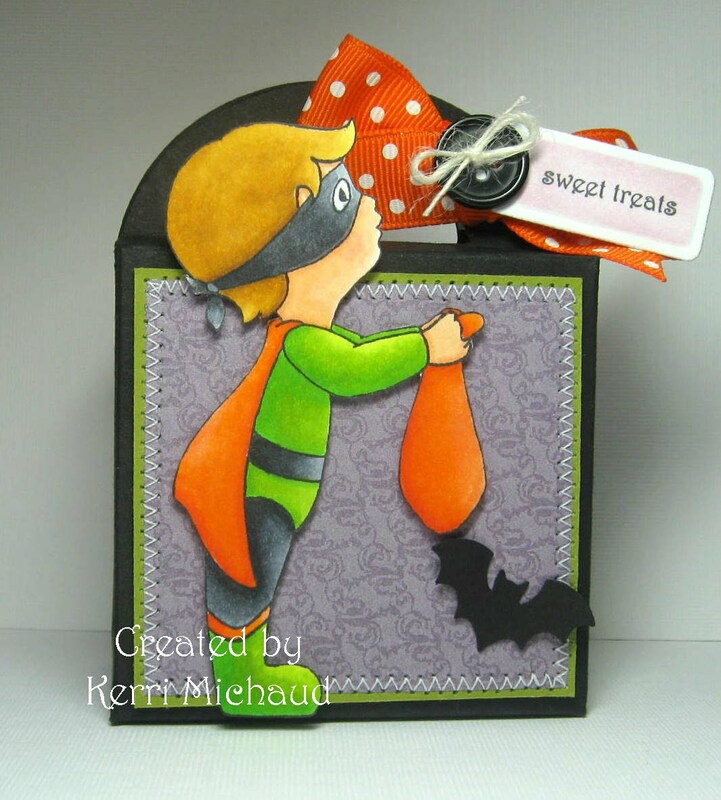 Those little treat boxes are adorable...I think I might have to give them a try for my grandkids...TFS. I have linked you up on my sidebar and am thrilled to follow you. Would love to win those little cuties. I will be offering blog candy too as soon as I sit down and put it together and take pics to post so keep your eyes open. Congratulations and thanks for the candy treat. I spread the news on your candy by posting a link to my blog. Hope I win as I do not have any people figure stamps yet and are now collecting it. Congrats! They made a wise decision, your boxes are awesome! I have a seperate page on my blog for candy; I posted there, linking back here. I linked your sweet Candy at my sidebar and became a follower ;-). Your cards are all so very sweet!! ciao e complimenti per queste meravigliose box!!! Super cute, thanks for the chance to win. Wow, congrats to you. Your creations are so wonderful, i love Halloween so much. Thanks for the chance to win, i've linked you on my sidebar.